May buy 1 for yourself and 3 additional as gifts. May use 1 per household. Valid only for option purchased. Appointment required. 24 hour cancellation notice required. Valid for up to 200 sq. ft. per room. Not valid for specialty services. Valid only within Salt Lake, Utah, Davis, & Weber Counties and Park City. Must use promotional value in 1 visit. Expires 6 months after purchase. See the terms that apply to all deals. Clean Green Carpet Cleaning's friendly, certified technicians use a powerful, truck-mounted system that deep cleans your carpet without leaving harsh chemicals and residue behind. Thanks to the Speed Dry System, your carpet will be dry within 4-6 hours. 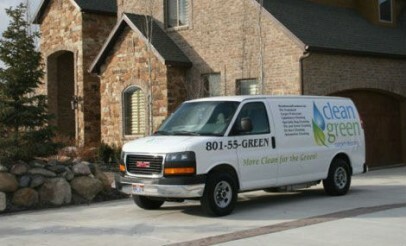 Utah-based Clean Green Carpet Cleaning offers carpet, upholstery, tile and grout, and air duct cleaning services that are environmentally friendly and the most effective in the industry.